Home › Articles › Death to Xenophobia and Tribalism! To paraphrase George Bernard Shaw, Nigeria and South Africa are two countries separated by a common language and a common bond. There are too many shared interests between the two nations and as such both nations must work as partners rather than rivals. The issue of the recent wave of xenophobia in South Africa is unfortunate, but we must not throw away the baby with the bath water. Just as terrorism occasioned by the Boko Haram sect should not define Nigeria, xenophobia should not define South Africa. As a government and as a people, we must show South Africa, at the very minimum, the same level of tolerance their government and people showed to us when 84 of their citizens died at the synagogue building collapse in Nigeria. Let us learn something positive about this issue. If it is wrong to hate people because they are foreigners in your country, it must equally be wrong to hate fellow citizens because they are from a different tribe or region or religion. Charity begins at home. African nations, including Nigeria, must address prejudices such as tribalism and religious intolerance at home because the best way to get others to love you is to first love yourself. This has always been my desire for the Black Race. No one put it as good as the late Peter Tosh in his song ‘African’ when he sang “don’t care where you come from As long as you’re a black man, you’re an African. No mind your nationality, you have got the identity of an African”. Peter Tosh was a prophet. As long as we are a part of the Black Race, we all have the identity of an African. There is nothing to be ashamed of about being an African and everything to be proud of about that identity. Many people are unaware that before the British had free and qualitative education in Great Britain, we were already implementing that policy in the Western region of Nigeria under that great sage, Chief Obafemi Awolowo. Even more are yet unaware that before many in Europe and Asia came up with the idea of a single visa and economic free continental zone(EU/ASEAN), Kwame Nkrumah had already conceived of the idea and was advocating for one pan Africa without borders. And Nimrod, that great empire builder who founded the world’s very first empire in Babel was black being a descendant of Cush. He was the grandson of Ham (the progenitor of the Black race). The reason contemporary Africans have not have lived up to this great ancestry is because we lack unity as a people. Let me give a couple of examples. If the Prime Minister of Israel or any prominent Jewish leader from Israel is to visit the United States, they plan such a visit and consult with Jewish groups in the US such as the American Israel Public Affairs Committee (AIPAC). This ensures that Jews at home and in the Diaspora speak with one voice. This and other groups were instrumental in arranging Benjamin Netanyahu’s visit to the US Congress on the 3rd of March this year where the Israeli Prime Minister bypassed (some say snubbed) the Obama and made Israel’s case direct to Congress and the American people. It took an immense amount of synergy between the State of Israel and the Jewish lobby in America to achieve this. Arab leaders do the same thing with Arab lobby groups such as The American-Arab Anti-Discrimination Committee (ADC) and other bodies. I am yet to see African leaders in politics and business do the same in an organized and consistent manner with the Black lobby and common interest groups in America such as the Congressional Black Caucus or The National Association for the Advancement of Colored People (NAACP) and other such groups. We cannot get the respect and global voice we crave for as a people if we do not build a platform where black people the world over can speak with one voice. We will remain shut out of permanent membership of the United Nations’ Security Council if we don’t blend our voice. This is why I am very upset when African nations spar with each other, and recall ambassadors or fighting wars in the process. The greatest affirmation of a racist’s or a supremacist’s thinking is actually the way and manner black people treat each other. Tribalism and Xenophobia, which are rampant in Africa, makes people with such inclinations think ‘how can I like them if they don’t like themselves’? I support the outrage at recent and not so recent killings of black youths by White police officers and wannabe cops from the Trayvon Martin case to the incidences at Ferguson and Madison. But if truth be told, black on black violence is much higher in occurrence than these other incidences both in America and Africa. The black world must address this by putting its house in order. It is the greatest love of all”. No wonder the late Whitney Houston reprised it and made it an anthem. As Jesus said in John 8:32, ‘you shall know the truth, and the truth shall make you free’. Right now, I say to Nigeria, South Africa, the whole of Africa and the Black Race in the Diaspora, let us acquire that greatest love by exploring radical ideas. Take Israel for example. On the 5th of July, 1950, Israel passed The Law of Return which gives people of Jewish ancestry, along with their spouses, the right to emigrate to Israel and obtain Israeli citizenship. Perhaps nothing has built commitment to the cause of Israel worldwide than this single piece of legislation. Wealthy Jewish Americans, who have never been to Israel, die and leave their entire estates to the State of Israel to facilitate the implementation of this law. Jews in sensitive positions in the West risk death and long prison sentences in order to spy for Israel in both military and industrial espionage. Israel even granted Jonathan Pollard, an American Jew serving a life sentence for spying for Israel in the US, Israeli citizenship in 1995 while he was in jail. Politicians of Jewish origin vote in Congress and the Parliaments of the West in ways that show their sympathy and even loyalty to Israel. Why do they do this? Because Israel has, by The Law of Return, turned them from onlookers to stakeholders in the affairs of Israel. This is what Africa must do. Instead of coming up with reasons why we do not like other black people because they are blacker or lighter or shorter or taller or nappier or straighter than us, the African Union must return to the Pan African ideas of the late Kwame Nkrumah, and act as a catalyst for a continental African Law of Return to be inserted into the Constitution of ALL African nations by ratification, giving people of African descent and their spouses the right to settle in any African nation of their choice and become full citizens. If this is done, it will change the roles of the black African Diaspora in the West and everywhere from that of onlookers to a role as stakeholders in Africa. Eventually, the influx of returnees will become the first truly continental Africans with the ability to live and settle anywhere in Africa. Once that happens, it will not be too long that xenophobia and tribalism will die a natural death. I believe in this, and I, Ben Murray Bruce, will pursue and advance such ideas in the incoming 8th National Assembly because I believe the Legislature must be a place of ideas that will become laws that will change our nation and our continent for the better. 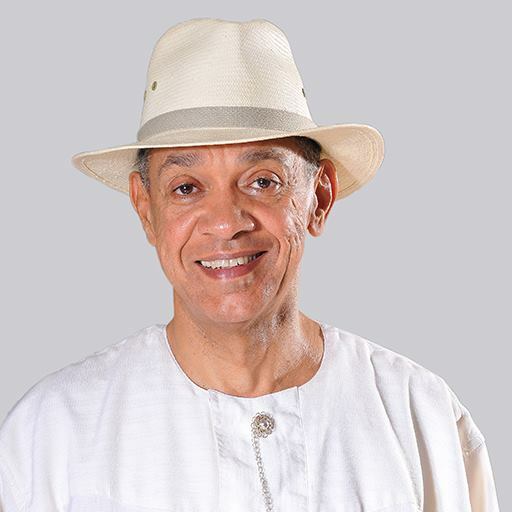 Ben Murray Bruce is a Senator Elect and CEO of the Silverbird Entertainment Group. Hon BMB, u are 1in a million, we need more o f. your kind in Nigeria, make more senses 4 them I beg so that the future generation will be reasonable to Stand tall and be emulated. Ride higher my broda.Fela try sef, himself was a monarch.